Three British men have been imprisoned in Ethiopia following their alleged attempt to establish an Islamic State in the East African country. Mohamad Sharif and Mohamad Ahmed, who both previously lived in London, were sentenced to six years and eight months in jail on Wednesday. They stood accused of plotting attacks in tandem with the Oromo Liberation Front (OLF), a group of separatists who oppose Ethiopia’s government. The court found both men guilty of receiving specialist military training in neighboring Kenya. A third man, Mohammad Ali Andros, who is also thought to be a UK citizen, was given a four and a half year sentence. Ali Andros reportedly originates from Somalia’s northern breakaway Somaliland district. He was accused of having links to the OLF and other Islamist organizations in Yemen. The three suspects were intercepted as they attempted to execute their “terrorist plans” in Ethiopia, Ethiopia's Fauna radio station reported. The sentences handed to the men are thought to be relatively mild for terror offences under Ethiopian law. 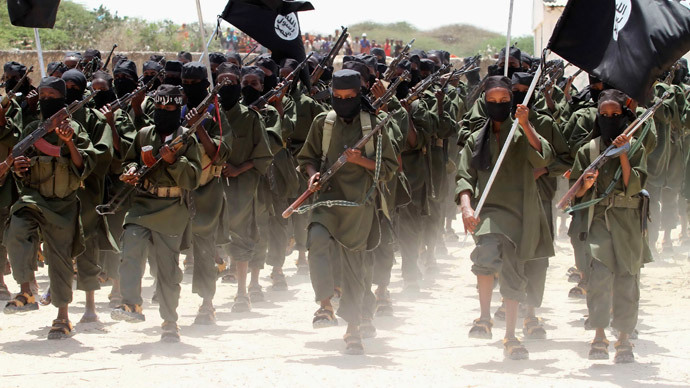 The state has long-targeted Islamist militants in East Africa, and has also fought against militant jihadists linked with al-Qaeda in nearby Somalia. Ethiopia’s government has faced severe criticism for jailing those who denounce its policies. It has imprisoned some of the state’s most prolific bloggers, who currently face trial on terror charges. The bloggers are member of the Oromo community, Ethiopia’s biggest ethnic group. In October, Amnesty International said Oromo’s’ opposition to the Ethiopian government had resulted in a ruthless and brutal crackdown by authorities. Over 200 testimonies, gleaned by Amnesty, reveal the Ethiopian government’s perpetual hostility to any form of anti-government dissent. The human rights group accuses Ethiopian authorities of widespread human rights abuses in Oromio, where the Oromo people are based. At least 5,000 ethnic Oromo’s were arrested between 2011 and 2014 based on actual or suspected peaceful opposition to Ethiopia’s government.